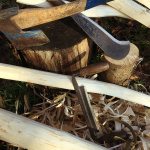 Over the weekend of the 29th and 30th September, from 11.00am until 4.00pm each day, there will be a wide range of demonstrations and workshops from professional craftspeople, children’s activities, local food and gift stalls plus a network of community environmental groups and organisations. 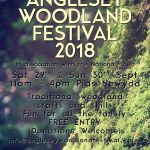 Anglesey Woodland Festival is run by Outdoor Learning Wales Ynys Mon, a volunteer networking group of professionals, who provide support and information for Outdoor Education Practitioners in Anglesey and Gwynedd. 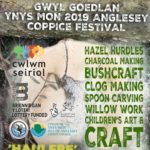 The Event is funded and assisted by the Area of Outstanding Natural Beauty team of the Isle of Anglesey County Council and National Resources Wales. 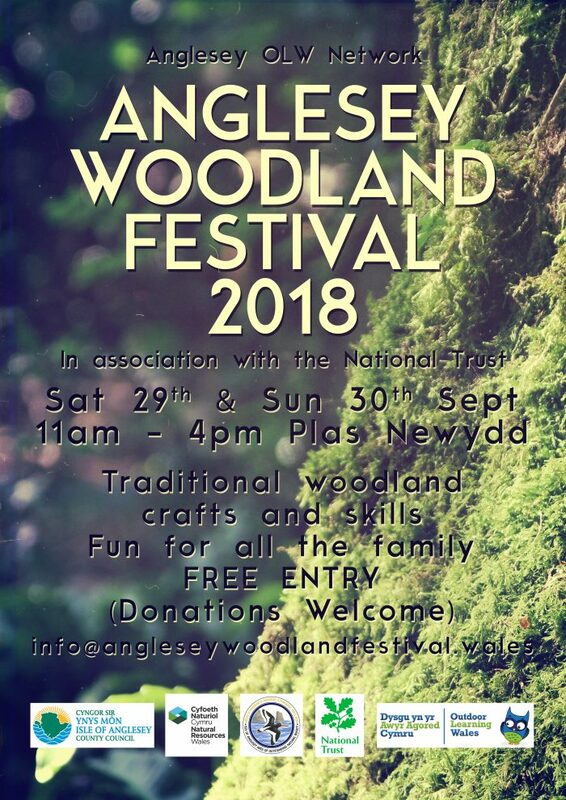 The Festival is free, which also includes entry to the Plas Newydd grounds and reduced entrance to the house. 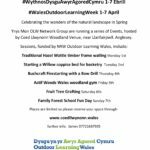 However donations are essential for next year’s Event! 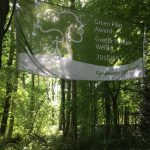 Join us in the Woods and be part of the Anglesey heritage – past, present and future!